Reality Furniture are proud to be counted among the best furniture stores in Adelaide, South Australia. Our experienced craftsman produces a wide variety of products not just for residential spaces but for commercial spaces as well, including the most beautiful dining and lounge furniture Adelaide has to offer. We bring your furniture design ideas to life. From your design concepts, and with our professional design recommendations, our artisans can help you create original, custom made lounges, beds and chairs for your space. At our company you will only find locally-made pieces specially designed to complement your interior and provide comfort for years to come. To ensure that we deliver the best quality, we don’t scrimp on the materials we use — we make sure foam, fabric and, leather are all up to the highest standards of comfort and durability. We’ve produced stunning beds, lounges and chairs for over a quarter of a century and it is how we will continue to serve our valued customers. Sticks + Stones Outdoor travel the globe to source the most stunning, affordable, practical and stylish items to help you create your own beautiful outdoor space. 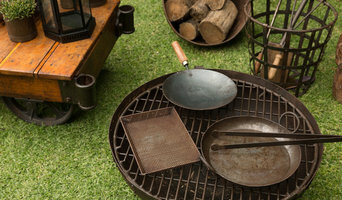 Every piece of furniture, traditional Indian fire bowl, and Vietnamese pot is personally selected by us and imported to Adelaide, South Australia for national distribution. Our furnishing decision-making is based on our own style and what we would choose to have in our own home. Each piece has a fascinating tale and we love to share our stories about the incredible places we travel, the interesting people we meet, and the wonderful products we find. All our products are sustainably and ethically sourced. We will always endeavor to ensure there are no negative impacts to the local community and environment from which our products are sourced. Not only do we support artisans from around the world, we are also committed to helping our local South Australian community. We are dedicated to supporting Adelaide’s homeless through our association with local charities. While we’re busily helping you create your perfect home, we will support those who do not have somewhere to call home. Scammells are now one of Australia's largest auction rooms offering in excess of 60 000 lots every year. Scammells specialise in Estate clearance and Single Vendor Collections. Weekly auctions are held at our auction rooms in Norwood, which range from retro furniture, retro collectibles, antique furniture, vintage design furniture, art deco collectibles, antique jewellery, quality items of Danish design, garden architectural items, paintings, pictures and prints, porcelain, oil and petrol collectables, jewellery and more. Monthly we hold our speciality auctions including the renowned “Great Collectors Auctions” featuring local collections of veteran and vintage motorcycles, enamel signs, oil bottles and petrol collectables. 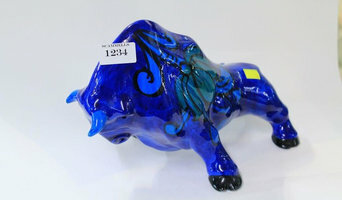 In addition our calendar features “The Showcase Auctions”, a collection of interesting, collectable and unusual. If you cannot attend an auction, you still have the opportunity to participate by registering for live online bidding or you can leave absentee bids. Buy Direct Online is an Australian furniture manufacturing company which has the largest range of Office Furniture IN STOCK at the best prices in Australia guaranteed!! We supply our products Australia wide through a network of distriputors with showrooms and warehouses. Buy Direct Online has been manufacturing and supplying the Australian market with the highest quality products and unique quick delivery service for over 10 years. We have IN STOCK the Largest range of....... Workstations systems / screens Desks Office Chairs Visitor Chairs Lounges Tub Chairs Boardroom Tables Meeting Tables Folding tables Filing Cabinets White Boards - Pin Boards and much more........ Buy Direct Online has the largest range of Office Furniture in stock ready for immediate delivery Australia Wide. We have standard and custom products to suit every budget. 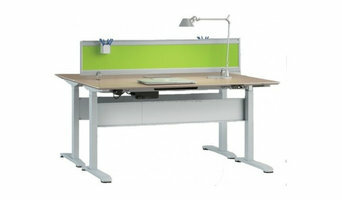 Please call today and we will make choosing your new office furniture easy. don't pay more than you need to come direct to the manufacturer today!! Hunt Furniture is an Adelaide based furniture design studio specialising in locally hand made furniture for residential or commercial environments. At Hunt we pride ourselves on well made Australian furniture and all of our pieces are created by owner operator Max Hunt, along with a selection of local crafts people. Building on the skills and versatility obtained through decades in the furniture industry, Alan Waldron founded Alan Waldron Upholstery nearly 20 years ago with a view to offering value for money furniture repairs and good old fashioned customer service. Commencing business in a small showroom at Richmond, Alan Waldron Upholster now operates from a large premises located in Kidman Park, South Australia. Alan retired from the industry in 2009, but the same values are still recognised by management and staff who continue to operate the company with a unique combination of both traditional and modern manufacturing skills. Alan Waldron Upholstery has grown to become one of Adelaide's most recognised upholsterers and furniture repairers. We are proud of the fact that many people revisit us and recommend our services to associates and friends. We are als proud that reputable companies and design firms seek our services for commercial upholstery applications. Our reliable and high quality workmanship is unsurpassed as being professional and using only quality materials and fabrics. And we ensure all workmanship is fully guaranteed. No job is 'too big' or 'too small'. We are experts in the restoration and upholstery of domestic and antique furniture. No matter what project you may have in mind, please contact us for prompt and friendly service. Homeware collection focusing on pieces made from naturally beautiful marble. Run by designer/maker Matt Pearson, MJP Studio is an Adelaide based furniture and object design studio. We strive to create objects to be woven into the fabric of the family home: objects that become a living, breathing part of the family. We want our pieces to create long-lasting memories for the people that use them. Just imagine the stories that they could tell. Our designs celebrate a rich material use, and the makers attention to detail. Every piece is designed and crafted with the utmost care and sensibility. Daniel is an emerging product and furniture designer, he studied Industrial Design at the University of Technology Sydney. Shortly after graduating he was offered a place at the Jam Factory's Furniture Studio in Adelaide under the mentorship of Jon Goulder. Daniel aims to design objects with purpose and soul, he is available for consulting and commissions. Our business model focuses on drastically minimizing costs in the supply chain, which is simply done by delivering products 'directly' to all our customers. We don't have expensive retail stores, or ridiculously high price tags, only beautiful furniture pieces to decorate and transform your living space to suit your needs. This allows us to drastically keep down all overhead costs which allows us to pass on massive savings to all our customers Australia-wide! At Kimberly James, we believe good furniture makes a good home – and your family deserves the best. 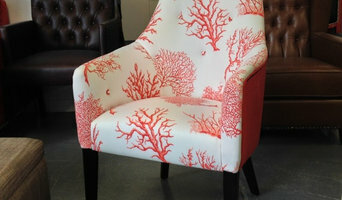 We want to help you create a home where your furniture not only makes life comfortable, it expresses who you are. LUNA & LUXE was created by mother of two and naturopath, Lisa McFarlane. After the birth of her son, Lisa became more conscious of how the products in our homes affect the health of our families and realised how difficult it was to find products that were not only safe but luxurious and affordable. Using her background in naturopathy and training in aromatherapy, Lisa has developed a range of hand made home fragrance products which are beautiful and luxurious, as well as non-toxic and socially conscious. The Flower Garden at Nairne, South Australia, was established in 1986 by Merridy and Brian Schultz. From small beginnings, The Flower Garden has become South Australia’s most respected destination for premium quality Outdoor Furniture. We have always had a strong focus on customer service and much of our business has been built from word of mouth. Many of our clients have been with us for more than 20 years and now we are often visited by their children. Our vision has always been to build long-term relationships with both our clients and suppliers. The Flower Garden offers an exclusive range of products for your outdoor living areas. We source the finest products from around the world and our range continues to evolve offering inspiration to all who visit. Whatever your situation, it’s always a good idea to do some research before visiting an Adelaide, South Australia retailer or furnitures stores you find online. Start your research right here on Houzz. Read through Adelaide professionals’ profile pages to find out location info, look at any photos of their work and check how long they've been in business. Read any reviews by design professionals and find out which furniture makers offer the best customer service. If your style or South Australia space is unique, it will be wise to consult a custom furniture maker. Here are some related professionals and vendors to complement the work of furniture & accessories: Interior Designers & Decorators, Artists & Artisans, Kids & Nursery, Wardrobe Designers and Professional Organisers, Bedding & Bath. Many South Australia home furnishers offer interior design consultations or room planning guides to get you started. Whether you decide to work with a home decor specialist or to become your own expert, it’s important not to rush the furniture-buying process. Visit plenty of Adelaide, South Australia showrooms and stores so you can feel comfortable with your purchase. Find furniture and accessories manufacturers, showrooms and retailers on Houzz. Narrow your search in the Professionals section of the website to Adelaide, South Australia furniture and accessories, then choose the nearest metro area for showrooms and retailers. Or you may want to look through South Australia photos to find designs you like and contact the furniture manufacturers and showroom galleries directly.